I beheld this beautiful young figure. The sophistication of her whole being. The way her dress fits to enhance her gorgeous shape; the hour glass shape for sure. As I approached her and made eye contact, she smiled and said hello. I was captured by her face, her smile, her eyes, and her hair and I immediately fell in love. I knew from the moment I saw her that she would be my wife and we would live happily ever after. I looked and behold this handsome tall clean cut looking young man coming toward me. His physique was positively impeccable. He walked upright and confident with the brightest eyes coupled with a great big smile and said to me “hello my name is Greg.” I was so excited, but all I could say was hello. He asked if we could go out to dinner and of course I said yes. After a few weeks of dating, Greg and Linda were betrothed and then the big wedding day. The married couple is so much in love, going about their daily living; enjoying each other’s company. Linda is pregnant. Greg is happy to share in each day experiences, the mood swings, the body growth, the uncomfortable days and nights. Finally the babies are here, twins. Nine months later, Linda is pregnant again. After the nine months passed by, there were twins again. Greg and Linda now have four children within a two year period. Hubby is in the gym daily and wife is in the kitchen. Wife cannot wear any of her figure flatting clothes. These types of scenarios are real in marriages. There are various situations that can cause weight gain in spouses male or female. There can be medical conditions, emotional situations, eating disorders or even eating addictions due to stress. These all can cause a drastic change in weight. It is important for couples to communicate and work together to come to an agreement about any weight situations. After coming to an agreement, work tirelessly to accomplish the goal so that each partner is an active participant in the solution. This agreement cannot be given or done by an outsider because remember you are a team. 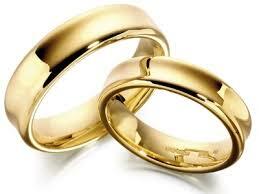 The marriage is sustained by the husband and the wife together honoring their commitment to God and to each other.